Our isolation journey may be a little bit more severe then some walking the cancer journey, but when you have three 2 year olds and a 4 year old it is so HARD to keep them from touching everything and putting their hands in their mouths, so isolation quickly became our reality. As Emmy endured 8 months of intense front-line treatment that totally wiped out her immune system, followed by one of the worst flu seasons in a decade, it meant trading play dates with friends and letting go of our plans of sending our son to a great school for Kindergarten in hopes to let him step away from the intensity of his sister’s treatment. It meant that the outdoor birthday party that I told my kids they could attend is suddenly a no-go because a friend called me to tell me that one of the kids attending has come down with the common cold, and we can’t expose Emmy to the common cold. It is life threatening for her. My kids used to ask, “where are we going, today?” with excitement. Now, that question has faded because they understand that “as soon as Emmy is done fighting her buggies, rings her bell, and gets her port out,” we can have more play dates, trips to the mountains, lakes, rivers, and other activities they love, even as simple as bounce houses and children’s museums. The day is coming when we can do these things because a fever will not mean an automatic trip to the ER resulting in pokes, blood cultures, antibiotics, the potential for overnight hospital stays, or even more worst-case scenarios. 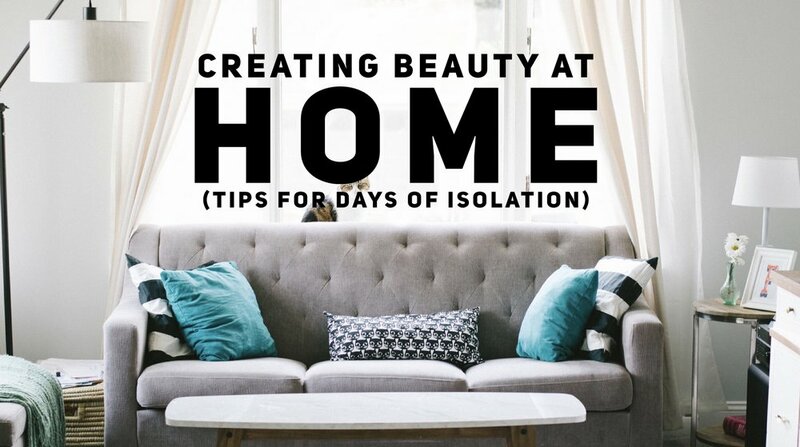 Until then, however, in light of all of our recent and current isolation we became better at this art of living and thriving at home and I wanted to share with you some ways we have passed our days (even though most mornings are spent schooling). Many of you may already do these things (we did some before diagnosis too) but they have now become more of our normal rhythm. I hope you can benefit from a few of them. Plant a garden. We live in a home with a smaller back yard, so we purchased a water trough at a local feed store and planted a small garden. It brings many days of joy to see the fruits of our labor. Water it daily, watch it grow, and watch your child’s wonder grow. Get some bird feeders. We purchased both a seed bird feeder and a hummingbird feeder and hung them both. It was and still is a beautiful reminder to me of Matthew 6:26-27 “Look at the birds of the air; they do not sow or reap or store away in barns, and yet your heavenly Father feeds them. Are you not much more valuable than they? Can any one of you by worrying add a single hour to your life?” Some mornings I just needed to wake up and SEE that reminder. Buy flowers. Honestly at the beginning I could care less about this, but over time and once we were in a more stable place it added some cheer and sunshine to the inside of our home, and the outside. Room makeover. There are many organizations that will graciously help with bedroom makeovers for cancer patients. A local organization helped provide us with new BIG girl beds as part of our room makeover. It brought a fresh new feel to the space. Bake/Cook. “Let food be thy medicine, and thy medicine be thy food.” We spent and still spend many days baking and cooking together. This didn’t immediately enter our routine until later on when hospital visits slowed down a bit and things slowly normalized again. It makes the home smell wonderful, and can certainly help with healing. Camp out in a different room. Oh how my kids love doing this. It mixes everything up. Grab a bunch of pillows, sleeping bags, put a movie on, hold each other close and camp out for the whole night. Picnics in the backyard with a quilt. Get out and get some fresh air! Make a lunch, grab a blanket and put it in whatever shade you have and enjoy the outside. BREATHE. Build giant tent forts. You'll have to ask my husband about this one. Ha, I’m certainly not the best at this, but build a fort covering most of a room for the kids and they will spend many hours playing together in it. Consider a Pet. I know, it’s CRAZY and this absolutely is NOT for everyone. But, during Emmy’s treatment we lost our beloved dog. A few months after we decided that all this time that we are all home would be a great time to get a dog and work on training it together. So we did! It has been a life giving (at times stressful, yes) choice. We often joke that she is all of our therapy dog because she reminds us of the dogs they employ at the Children’s Hospital to aid in the healing process. She has truly been amazing in helping us heal and a great source of comfort. Snuggle/ watch movies. (My favorite one) Some of my most vivd memories of hard days during the peak of Emmy’s treatment were cuddled up on the couch savoring our time together and watching movies. Hot water bottles, heating pads, whatever could help make her more comfort and the presence of each other. Homemade playdough. Hours of fun— especially when you return home and your child still has their port accessed and you need fun entertainment that doesn’t require a LOT of movement. Let them help you make the playdough, then get busy playing. Dance party with strobe light. Well, this just might just be a Holmstrom favorite. We bought a light for about $13 on Amazon and cranked up the music. Most days it is worship music to help re-set our souls— followed by all our favorite movie soundtracks and then all our other tunes. Whatever your jam, play it and play it loud! Buy new board and card games and play them together. We, without question, added to our game collection. Game nights bring us closer together and help fill our home with laughter. We all know laughter is some of the best medicine. Visit the Library and have books around the home. I should be paid by our county for sanitizing all their library books. Ha! I take weekly library trips or, if counts are too low, I go and get books, and return home and sanitize them. Throughout the week we have special Tea Time where we share tea or whatever special drink of the kids choice and I will read the books to them. It also helps having books all around for days when your kiddo is not feeling well and just needs to lay low on the couch. Host a toy drive or any other drive that you think could benefit your place of treatment. This is something that has come MUCH later after front-line treatment, and don’t even think about it a minute before. But when you feel you are in a more stable place, there is something about taking your eyes off your own mountain and helping provide for others as they navigate theirs that is in turn life giving to all involved. We have hosted two toy drives so far, and it has been a beautiful thing to be a part of. It helped pass our days as we sorted all the gifts and organized them. It has brought so much joy to our own journey as we watch these gifts be given to help all the little fighters on this hard road experience a brief reprieve of happiness. ”While others run fast, you can shuffle with perseverance. While others set out to impress, you can simply press on. Persevere Momma, press on Momma, run through the dark by holding close to the one who overcame all darkness, Jesus. Hold tight to these slow and HARD HARD days while the world hustles outside and you sit next to your child who is fighting to see tomorrow. You and I both know that in these days, the most beautiful thing in your home is that baby of yours sitting right there next to you, and THAT IS ENOUGH.